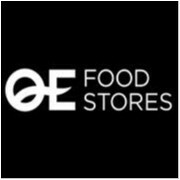 QE Foodstores Waverley joined our Mission to help provide access to “Clean Water for All by 2030”. This Mission was initiated by the United Nations. A big thank you to QE Foodstores Waverley’s team and customers for joining this extremely important mission on 15 March 2018. We are excited that our large product range of everyday and gourmet foods, the freshness of our vegetables and fruit, our competitive prices, plus our friendly customer service have made QE Foodstores a firm favourite with food shoppers across many Sydney neighbourhoods. And we keep on adding stores – so keep an eye out in your local area! All QE Foodstores carry only the freshest fruit and vegetables possible – all straight from Sydney’s best markets. Our quality range of products (well over 5,000 at last count) is carefully picked for its quality and variety, and includes specialty and gourmet goods, as well as affordable everyday brands. We listen to our customers, and are always on the lookout for new products to give you the best shopping experience possible. Word-of-mouth has started to spread beyond our loyal local customers and our large product range of staple, specialty and gourmet groceries is now attracting people from surrounding suburbs, who are making a special trip for a special treat.